A canvas printed thangka of White Tara, who is well known for granting long life, health and for averting life-threatening situations. 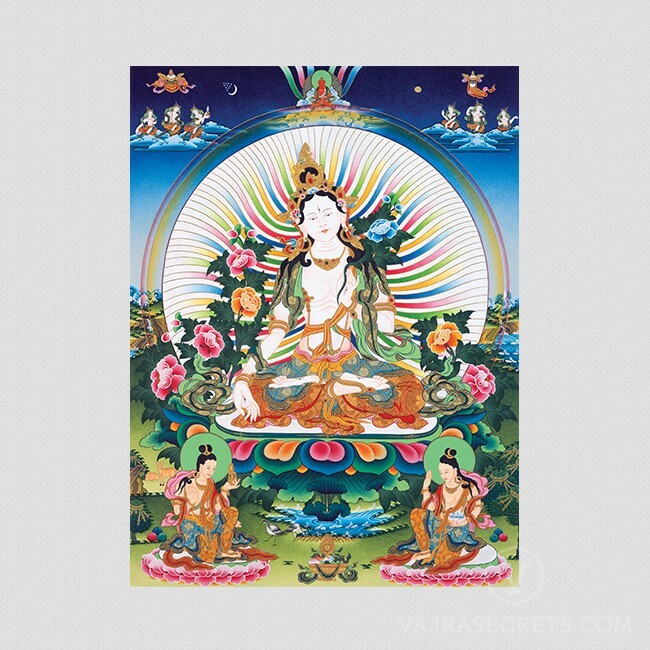 A canvas printed thangka of White Tara, one of the more popular forms of the female Buddha Tara..
White Tara is famous for granting long life and for averting life-threatening situations. Her practice is especially beneficial for those who are older or who need healing.